AIReader: how do I load a book into library? I have an azw3 book on my computer. I would like that book on my android phone (Samsung Galaxy 5). I know how to move files from the PC to the phone. But is that how I do it? Just copy the file somewhere? If so, where? Does it matter? Or do somehow load the book from inside the app. I find it extremely frustrating that there seems to be no instructions on how to do this most basic function. Large libraries on Boyue Mimas/Mars/Muses? 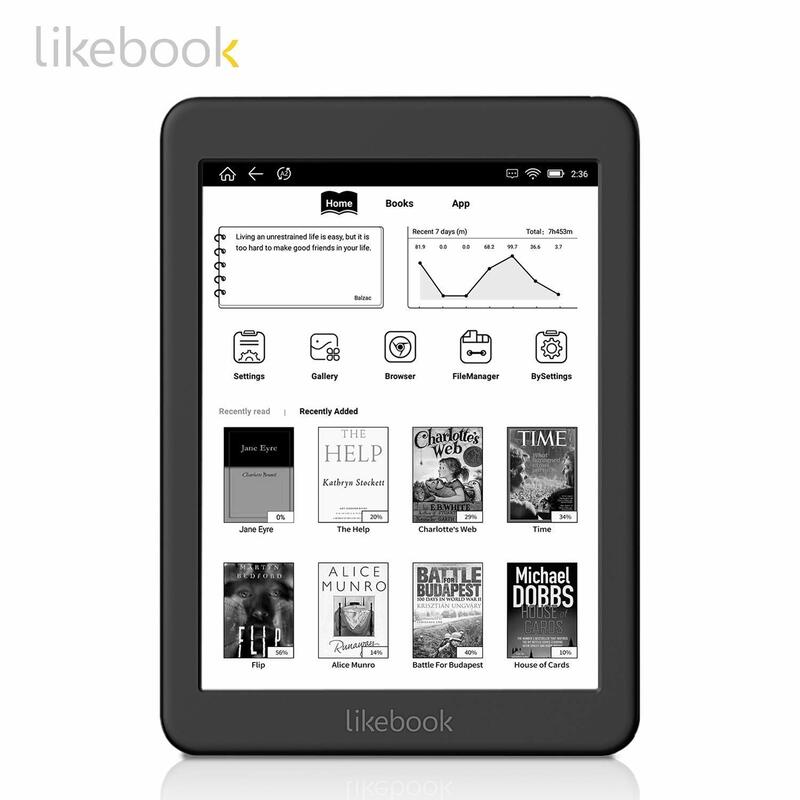 Today i received my new Likebook mars. Installed all updates (including today update 19/3/19) and find that device does not work properly. First, i cant make any new account (i push +new accountbut nothing happens). Second, nitification bar wont stay opened. Every time i expand it, it closes instantly. Gave it a reset but nothing changed. Any help? I started having problems with file managers either the stock one or any alternative. All of them are being closed immediately after starting. And if I try to open any book with an app like Cool Reader, it crashes as well. Any idea how to fix this? Tried to factory reset the device to no avail. I recieved the cover / case that came with the Mars. Any other options out there. The case is ok just dont care for the hard plastic back. Hard rubberized would of been better. How to display book cover images on android e-reader device? I'm putting together a massive google spreadsheet to make it easy to compare and find info on current e-readers. What spec categories are missing that should be added? Has anybody else tried eBoox? So far I'm loving eBoox new app. So clean and fresh. Things transfer over quickly and you can have the option of scrolling instead of the usual option. Nice change from the Kobo app which I found clunky and awkward.